Tsubame means ‘swift’ – a name chosen to reflect on the mission’s objective of demonstrating a quick attitude control system and due to parallels with NASA’s Swift mission that also studies gamma-rays. 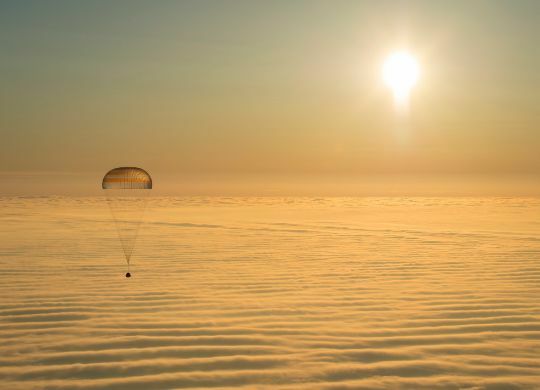 Scientific goals identified for this mission are the observation of gamma- and X-ray sources in a responsive system that uses the satellite’s high agility to automatically identify and point the instrument to events of interest. The miniature Control Moment Gyroscopes are the primary focus of Tsubame’s technical demonstration mission. Four CMGs are installed in a pyramide to be able to provide three-axis stabilization with agile pointing capability. 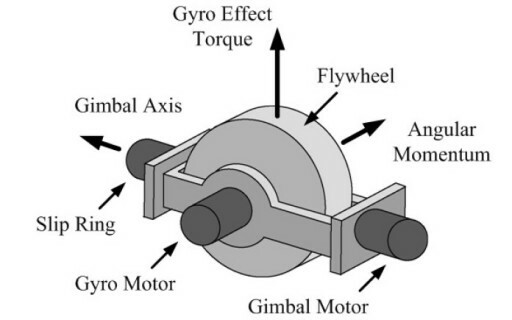 A CMG consists of a spinning rotor and motorized gimbals that can tilt the rotor’s angular momentum resulting in a gyroscopic torque acting on the spacecraft, causing it to rotate since the CMGs are firmly installed on the spacecraft structure. CMGs differ from reaction wheels that impart toque by simply changing the speed at which they rotate. Overall, CMGs require less energy and deliver much higher torque than reaction wheels which are simpler in design and for most spacecraft are the best solution. 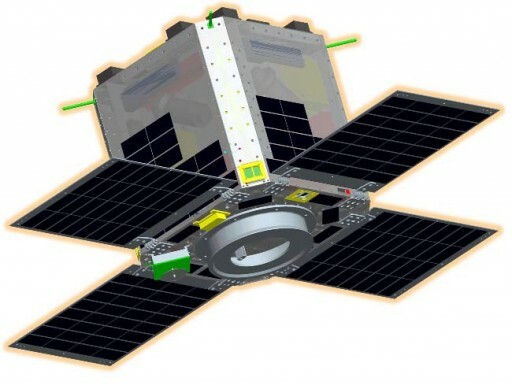 Tsubame is equipped with two payloads – an Optical Camera and a Gamma-Ray Observation System, GROS. 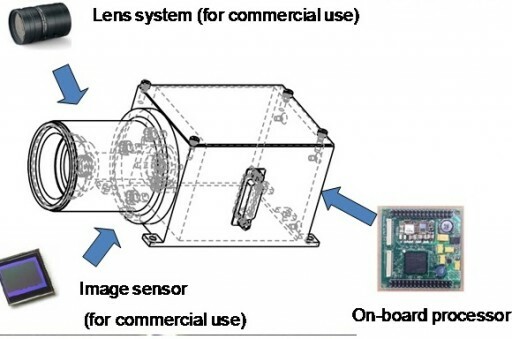 The optical camera is used for Earth observations at moderate resolutions for use in landmark tracking, environmental monitoring, and panorama imaging. The Optical Camera is 9 by 10 by 20 centimeters in size with a total instrument mass of 1 Kilogram and a power demand of 3 Watts or less. 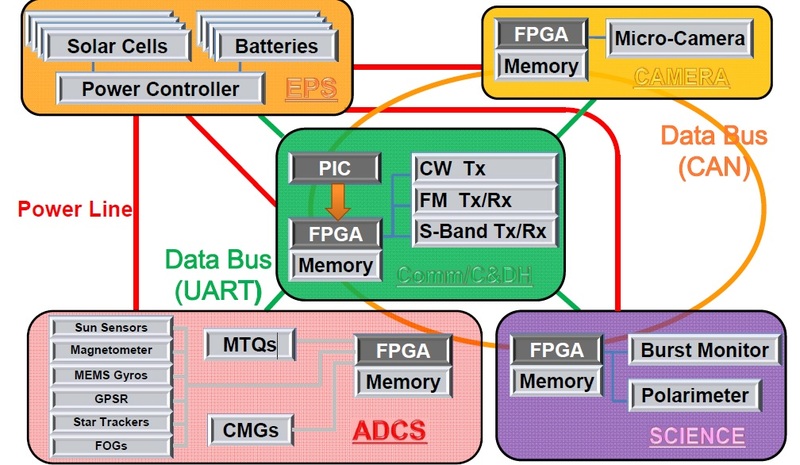 A Field Programmable Gate Array is used as an instrument controller, responsible for the operation of all the camera’s functions. GROS, the Gamma Ray Observation System consists of two main components – the Wide Field Burst Monitor (WBM) and the Hard X-Ray Compton Polarimeter (HXCP). 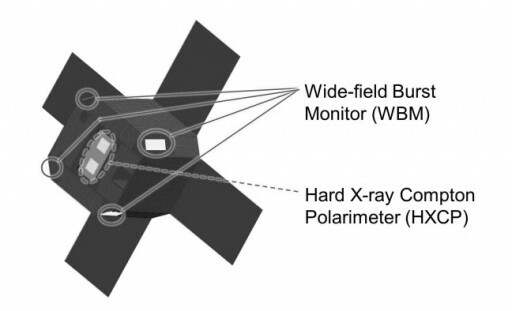 WBM is in charge of the detection of Gamma-Ray Burst Events (GRBs) and determine their direction so that HXCP can be pointed to the event location for observation taking advantage of the satellite’s high agility provided by the Control Moment Gyros, pointing the satellite to the proper viewing direction for HXCP within 15 seconds. 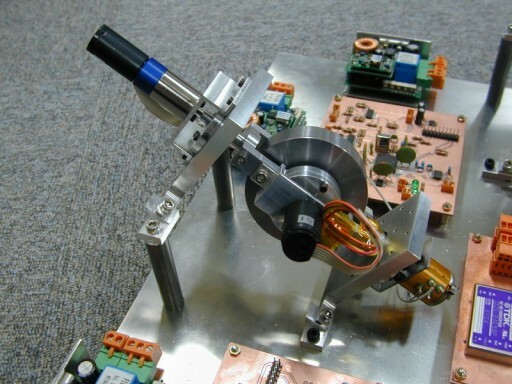 HXCP, the Hard X-ray Compton polarimeter aims to analyze the polarization plane of x-rays entering the instrument to yield information on the mechanism of the emission – the distribution of magnetic field, radiation field and matter around the sources which are rotating pulsars, accreting black holes and active galactic nuclei. 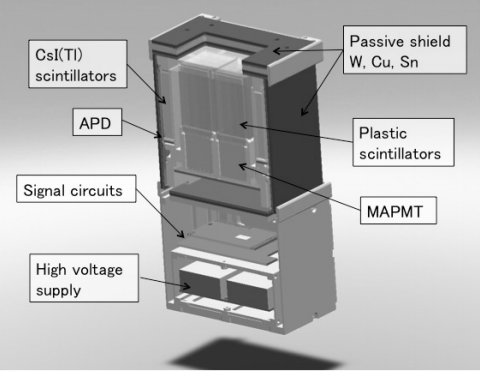 Polarization analysis has not been performed on a reliable level at different energies and information provided by the instrument is hoped to increase understanding in x-ray and Gamma-ray sources.